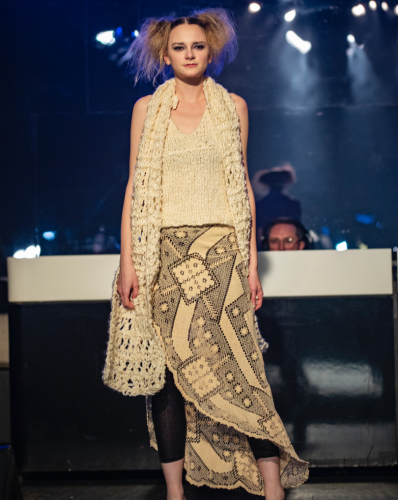 JCI Fashion Business & Creative Arts graduate and knitwear designer Sally Omeme presented her latest collection at the Raw Artists, Vancouver fashion show on Sunday, January 13th, 2019. 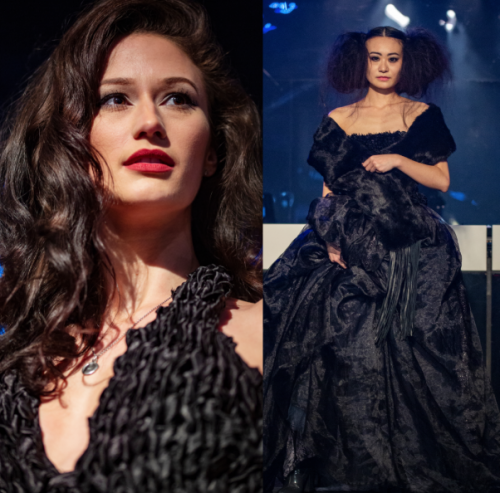 After spending days and nights fashionably stressed working towards the Raw Artists show, and even sewing last minute pieces together backstage prior to the models walking down the runway, Sally Omeme showcased a spectacular collection. Sally’s designs consist of unique pieces made for all genders from the ages of eighteen to sixty-five. The inspiration for this collection comes from the word, “selcouth,” meaning both strange and beautiful. As scary as the decision was for her, studying at JCI is one of the greatest decisions Sally has made, she tells us. 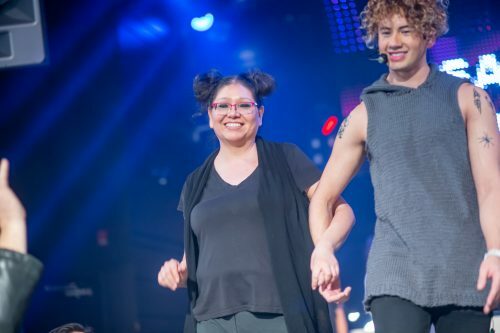 The reason Sally uses the term “scary” is that she had to break through many barriers that were holding her back to pursue her dream of becoming a fashion designer. Growing up as a small town girl and a child of a Pastor, many people had their own opinions on which career path Sally was going to take, and fashion designer was not one of them. With the encouragement of the instructors from JCI, Sally finally overcame her fears and had doors opening for her. And so the inspiration of “selcouth” for her latest collection comes from the courage she had as a student and designer. Now that Sally has shown with Raw Vancouver, she is eligible to showcase in one of eighty cities around the world, including the US, Canada, Mexico, and Australia. Sally is considering a fashion show in New York or California next. She has been invited to show at London Fashion Week, New York Fashion Week, and Japan. We can’t wait to see where this industry takes Sally next!